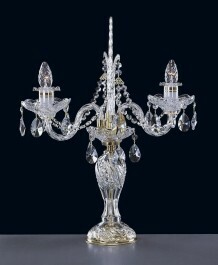 Decorative crystal lamp on the table. 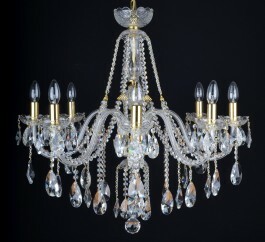 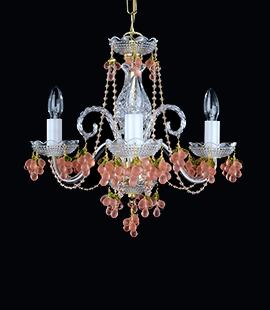 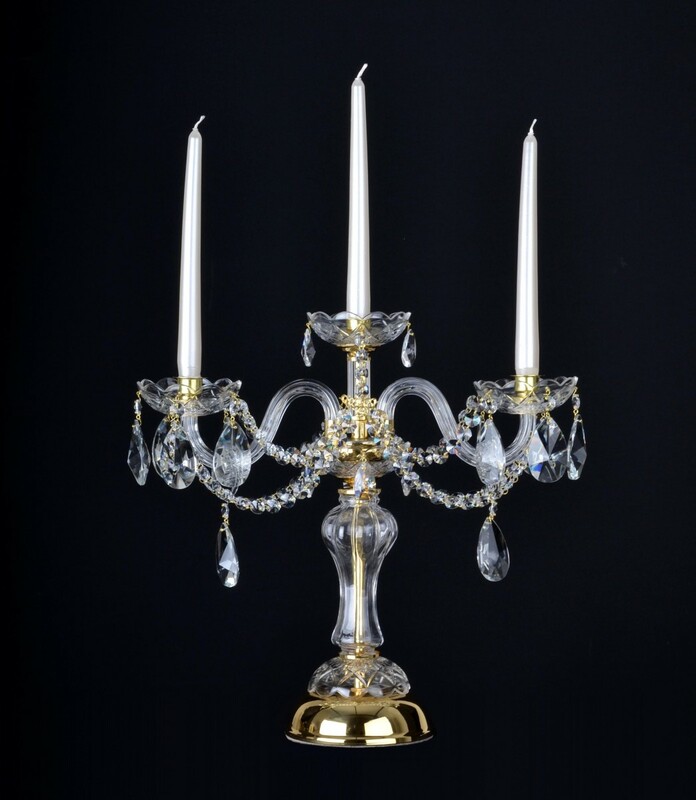 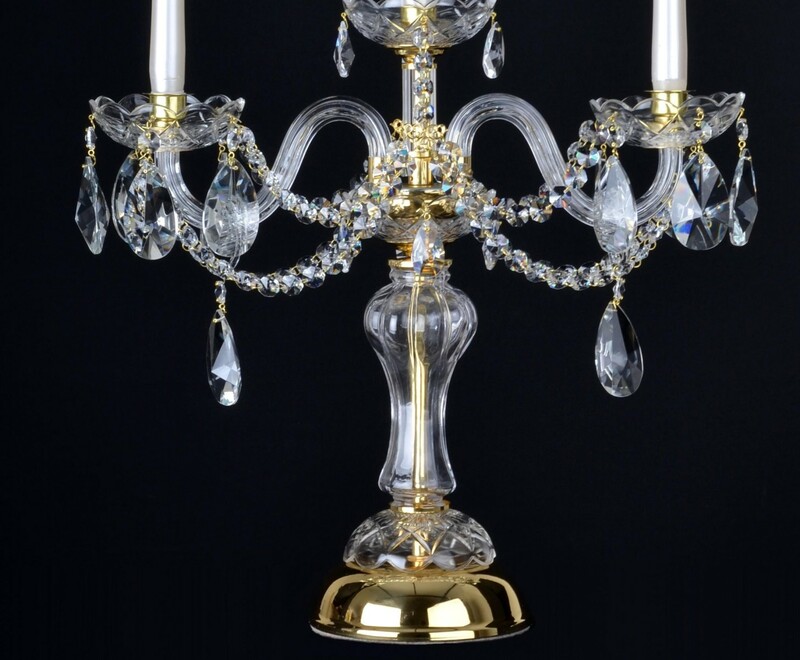 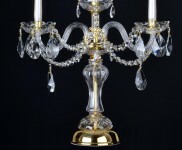 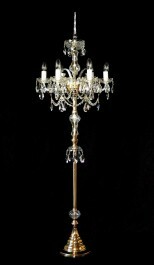 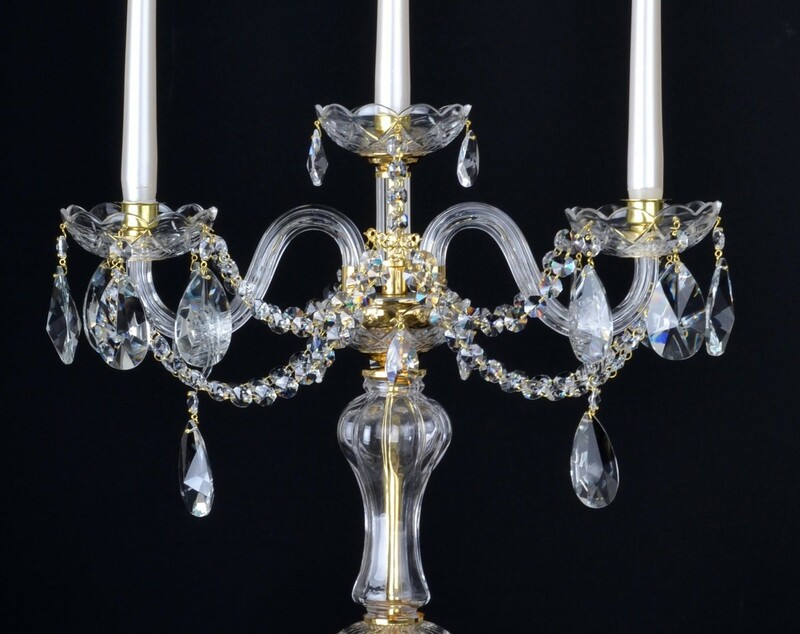 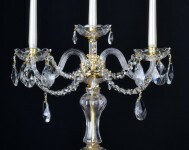 The 3-arms glass candlestick is decorated with cut crystal almonds. The crystal candlestick with 3 profiled glass arms. 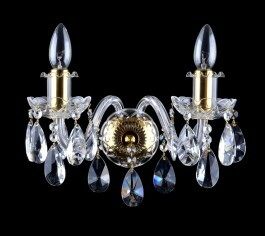 Dimensions (W x H): 42 x 42 cm/ 17.1"x17.1"